How much can we borrow? You can borrow from £250,000 to £5million with a maximum of 70% of the property value, known as Loan to Value (LTV). Different repayment schedules can be arranged, including interest-only, interest roll-up or part-amortising. The term of the loan can be up to 60 months depending on your requirements. How much interest will we have to pay? The reserve rate set is linked to the LTV for your application. To give you an idea of the rates you might pay, please see the table below – these are indicative rates. The monthly compound interest rates above are indicative and include our monitoring fees. During the loan auction (which can last up to seven days) our investors bid to fund your loan at the interest rate they’re willing to offer. The bids with the lowest rates win. If there’s a lot of competition between investors, your rates could be lower than your agreed maximum rate. Who will finance our loan? You will be borrowing directly from a number of individual and institutional investors. Our secure online platform allows them to bid for a stake in your loan. Our investors will spend time comparing your and other lending opportunities on our website. The people who invest in your loan will be placing their trust in you and your project – and expecting to get their money back. During a loan auction, investors who bid the lowest interest rates will win the opportunity to fund your loan. If the loan isn’t completely filled by these bids, FundingKnight has partners who make up the remaining amount of the funds – this provides you with certainty once your funding auction starts. We charge an arrangement fee of 2%, which will be deducted from the loan amount. We also charge a monitoring fee – typically 0.25% per month – which is included in your overall interest rate. There is no separate exit fee. You will need to pay for a professional valuation and for legal costs in relation to the loan. While a loan is in default we are entitled to charge a fee of £5 per day as well as any costs incurred in protecting the investors’ interests. In addition, the interest payable to investors is increased by 4% during the period of default. When will we get the money? Funds are typically available 21 days from application. If you have all of your documents prepared and your solicitors act rapidly, it can be much faster – as little as 14 days. You will receive your money when the loan auction finishes: typically the funds will reach your solicitors to complete the property transaction on the same day. Please remember that property transactions always require legal work and more complex transactions may take longer. What can we use the money for? Properties must be commercial, residential (not owner occupied) or buy-to-let and located in England or Wales. For more information, please read our eligibility criteria. How long will we have to pay the loan back? You decide the term of the loan in advance – up to 5 years. You’ll agree this with your property underwriter when you discuss your application and we will want to understand the proposed source of repayment. You should note that once the loan has started, extending the term of the loan will not be an option, so you should ensure that the term you request adequately covers your needs. Once you’ve registered online, you’ll be able to sign into your FundingKnight account. Here, you can read and accept our Borrower Agreement and Terms & Conditions, and make your loan application. If your application passes our initial review, we will then agree the further supporting information we need and help guide you through the rest of the application process. Once we are happy we have all the information we need, we will issue an outline of the terms, known as Heads of Terms, so you have a clear indication of our interest in your request before you incur costs on valuations etc. Please note that Heads of Terms are issued once we have completed satisfactory credit reference agency checks. Once you have accepted the Heads of Terms, we will arrange for an independent professional valuation to be instructed. This is to confirm the current market value of the property and make an assessment of any risks associated with the property that would impact on its suitability for a Property Bridging loan. You will need your own legal representatives to act on your behalf. We will arrange for our solicitors to liaise with your legal representatives to start completion of security over the property (or properties). Please note that the costs associated with valuation and legal work will be payable by you. We will be able to give you an indication of those costs before the valuation and our legal work is started. We will arrange for an agent to meet you at the property to give you the opportunity to show them your plans for the property and talk about your experience in property matters. One of our underwriters will also speak with you about the information in the valuation, the results of your meeting with our agent and talk you through the way your loan will be presented to our investors. We will need our solicitors to confirm that all the security and loan documentation has been completed satisfactorily and you will need to provide us with details of the property insurance. You are now ready to put your loan to auction. For more information, see How do the loan auctions work? What do you need from us and why? How do we put together our loan presentation? As you are asking a number of individual and institutional investors to fund your request, you will need to give good reasons for them to support your Property Bridging loan. It is important to get across your knowledge and experience in property matters in your presentation. The presentation is divided into 4 key areas. The commentary will depend on whether you are a Company, LLP, Partnership, Sole Trader or Private Investor. A description and brief background about the business (if applicable) and your involvement in property matters. You have the opportunity to add other documents describing the property itself and other projects you have worked on in the attachments section of the presentation. Give the brief background of the directors/owners (their experience etc.) and the management team (if applicable). If the borrower is part of a group, provide further information on this here. This detail helps with encouraging investors to bid. Highlight the specific use of the loan and how it will enable the project to move forward. This is your articulation of why investors should trust you to return their money. Specific attention should be paid to the history of the property/project, and how you see the loan being repaid – including any exit contingency plans. Focus on payment history in previous projects or debt obligations, amount of funds personally invested into the business by its owners, trajectory of performance due to specific contracts or opportunities. Honesty is the best policy; in the event of any adverse credit history it is always better to mention this upfront. You should assume that it is possible for investors to unearth this information with so much data available in the public domain. How do the auctions work? An auction is where our community of individual and institutional investors bid via our secure online platform to fund parts of your loan. If your loan isn’t completely filled by these bids, we’ll make up the remaining amount of the funds. In other words, you will always be sure that our loan auctions will fill 100%. The only factor not set in stone is the interest rate you’ll pay. While you will have agreed on a maximum interest rate, competitive bidding from investors during the auction could push down your interest rate and get you a better deal. During the auction you’ll be able to sign into your FundingKnight account and watch as investors bid live on your loan. The investors who choose the lowest interest rates will win, and fund a stake in your loan. Auctions typically last seven days, but they can be shorter if you choose. As soon as the auction ends, your solicitor will receive your funds via a bank transfer. How do we repay the loan? Unless we have agreed to provide you with rolled up interest, you will begin to make interest payments one month from draw-down. This means there will be a fixed amount of interest to pay to FundingKnight each month, which we will then allocate to each of your investors. Repayment of the loan capital is due at the end of the agreed loan period. You can make an early repayment of any part of the loan, provided you give us at least 15 days’ notice and the repayment amount is the Minimum Repayment Amount. The current Minimum Repayment Amount is £25,000 capital, plus any outstanding interest on the capital amount to be repaid. What if we can't repay the money? If a payment is late, we charge an administration fee of £5 per day. This fee is deducted when the overdue payment is received. At our sole discretion, we may waive this fee if the payment is received up to four days late, for example if the reason for delay is a bank error or similar and you have kept us informed of what’s happening. In addition to the administration fees payable to FundingKnight, where a loan is in default the rate of interest payable to the investors is increased by 4% per annum. As soon as any arrears are repaid and the loan is back ‘on track’ the interest will revert to its original level. If you are encountering difficulties in making a repayment, the first thing you should do is call FundingKnight to discuss. With strong, coherent communication, all parties can agree an appropriate course of action and convey accordingly to your investors. If you miss repayments but fail to communicate with us, we will take steps to move straight to formal, legal debt recovery proceedings, through sale of the property securing the loan and if necessary against the loan guarantors. What if we need a loan for another project/property? Simply sign in to your FundingKnight account and fill out an application. Alternatively, you can contact your dedicated underwriter or a member of our team and we’ll discuss how we can help. The application process for a second Property Bridging loan is also much faster because we already have a lot of your information on file. 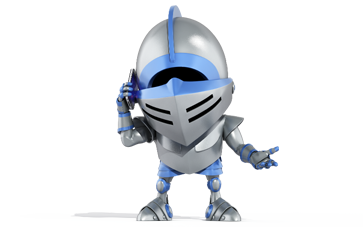 Risk Warning: Investment through the FundingKnight lending platform involves making direct loans to borrowers. You could lose all or part of your capital. Selling loan parts through our Marketplace is on a matched basis; there is no guarantee that sale offers will be purchased. Indicated returns, unless otherwise stated, are shown before any provision for bad debts and may be subject to tax. FundingKnight is not covered by the Financial Services Compensation Scheme. We advise all investors through the platform to spread their investments widely and thus avoid concentration risk. Important Information: Each new investment through the FundingKnight lending platform is governed by the Loan Agreement and Terms and Conditions published on our website at that time. While we will notify by email you whenever these are amended, you can find them below or within the 'useful links' page. © Sancus Funding Limited 2012-2018. FundingKnight is a trading name of Sancus Funding Limited, a company registered in England and Wales (company number 7534003). Sancus Funding Limited is authorised and regulated by the Financial Conduct Authority and registered with the Information Commissioner’s Office (ICO), Reg no. Z2928012. Registered Office : The Minster Building, Great Tower Street, London, EC3R 7AG.